Ret. Lt. Colonel USAF ~ Niara Isley. One of the key contributors & people featured in the recent, landmark documentary ~ "Above Majestic". Niara has been a spiritual seeker from almost the cradle up. After discovering a disturbing three-month block of missing time in 1980 from her time as an enlisted airman in the U.S. Air Force – during which she had only the most general of memories – she underwent hypnosis to recover some of that missing time and to investigate other earlier memories and strange dreams from my childhood. What she discovered was staggering & life-altering, turning life upside down for her for a good many years, launching her into more study & research to find out what had happened to her, why, and in what context. And to heal from the ensuing emotional fallout. As an experiencer of extraterrestrial abduction/ contact and strange milab-type experiences while in the Air Force, she gained deep insights into the workings of our world and the roles that different groups of extraterrestrials may be playing in it. Today she works to raise public awareness about the reality of extraterrestrials, to shed light on the machinations of the “shadow government” and re-frame it all in a life-affirming and hope-filled vision of where we may be headed as a species from my own life-long spiritual experience and perspective. spot.com, which has become widely read over the internet since its inception. Niara feels a personal sense of mission to present all the solid testimony and evidence she can to help people understand that extraterrestrials are real, are visiting our Earth and that contact with spiritually advanced and benevolent extraterrestrials could reshape our planet and society in ways that many of us have dreamed of – a world of peace, cooperation, sustainability and deep caring for each other as we move into an era of free energy, the ability to resolve our environmental crisis and move beyond economic slavery. Niara believes we must discover and create a common energetic ground upon which this meeting can take place. She holds a BSW (Bachelor’s in Social Work) from California State University, Sacramento, a certification in Body-centered Life Coaching and Radiance Birthwork from the Hendricks’ Institute and a certification in working with Highly Sensitive Clients from Elaine Aron, Ph.D. She is also certified in Quantum Healing Hypnosis Technique from Dolores Cannon, and in Emotional Freedom Technique (EFT). As an experiencer of extraterrestrial contact, she understands the common problems, issues and often extraordinary insights and awakened talents of those who share a connection with this phenomenon. 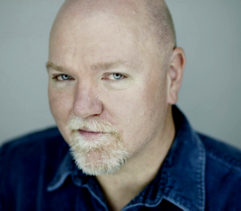 Joe Anthony is the Founder & Principle of PlanetsWithin, a nationally recognized, multidisciplined astrology service and co-founder of the monthly, special event, Sedona, Arizona meeting - SEDONA CLOSE ENCOUNTERS. He is also the co Producer of the 2018 Transformational Shift Events & PlanetsWithin Sedona Conference. As a leading Psychic and Professional Astrologer for more than 20 years, Joseph has been featured on countless television and radio programs and has been the astrologer of choice for many noted athletes and celebrities. Joe lectures frequently and helps you to understand the importance of the core of our soul and being able to comprehend the symbols of our sub-conscious through the use of Astrology. Road To 2012 & Beyond Astrological predictions of events and places that will be affected by many of societal changes and galactic alignments leading up to December 21, 2012 and beyond. ~ The Nature of Our Reality: An extensive examination of reality as spiritual beings having a human experience. Areas included: where did we come from, what is our purpose here, how do we live in harmony, how do we evolve spiritually, and much more. ~ Ancient Civilizations and their Symbols: Designed to give an introduction to the ancient beliefs and mythologies of their time; ancient symbols from Egyptian, Celtic, Native American, Chinese, Japanese and more. Hiloha Homa, Red Thunder is of the Chahta (Choctaw) & Siksika (Blackfoot) First Nation Tribes of Turtle Island (North America), and is a spiritual artist and sacred nature communicator and messenger and tribal material cultural artist. He works extensively with water medicine, encouraging people to be conscious of the Water. Hiloha spent many years in the Chumash tribal land in the Santa Ynez Valley in Santa Barbara County next to the ocean waters. His culture and medicine is deeply connected to the waters of life and relationship with the Dolphins, as much of the Chumash ways are informed by water itself. The elders’ extensive wisdom teachings about connecting with and helping the water created a great impact on Hiloha’s life and influence in his artwork — referring often to nature as the Water Mother and the understanding that humans are all containers and bodies of water walking the land. Hiloha's work is informed by the power of Grandmother Water and Earth, sharing knowledge of his path and wisdom passed on to him by his elders from many tribes in all his spiritual & creative artwork, teachings and guidance. His visual, auditory and alter-sensory arts concepts and expressions are shaped by his many different spiritual influences revolving around his original Turtle Islander heritage. He is a multidimensional spiritual visionary & artist, who’s transcendental artistic expression seeks to harmonize with & capture the organic human progress in tune with the natural flows of the universe; not dictated by technology, rather helping people to see higher spirit worlds & connect with our nature relatives. 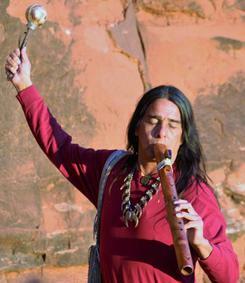 He works with various sacred media, including sacred nature images, painting, song & traditional instruments and dance. Hiloha is a traditional Wisdom Keeper and teacher, traditional fire tender with the elders, water medicine carrier, traditional and pow wow singer, and tribal historian. He is a Dolphin Dancer from the Kalawasaq’ Village band of Chumash Indians, dancer and traditional practices of the Chok’Kuluqsh’ (of the Black Bird Clan). Izdzan ah ray ~ is a Wisdom Keeper & Medicine Woman, embracing wisdom and teachings from all cultures. Her lineage is of the Apache People, her paternal great-great grandmother being an Apache Scout and translator. She lives the way of the Medicine Woman, as she partners with all her relations in both the seen and unseen worlds. Isdzan-ah-ray has participated in sacred ceremonies in both the North and South American Native traditions. She has supported the Sundance Ceremony, as well as being a ceremonial dancer of the Spirit Dance, Sacred Circle People's Dance. She is a facilitator of the Sweat Lodge in both the North and South American ways, and has also participated in and supported the Vision Quest ceremony. 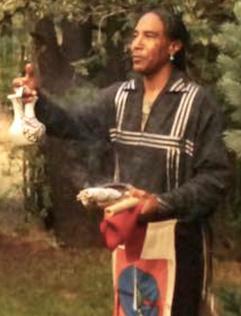 She guides individuals and groups through prayer and intentions in the Sacred Pipe Ceremony. 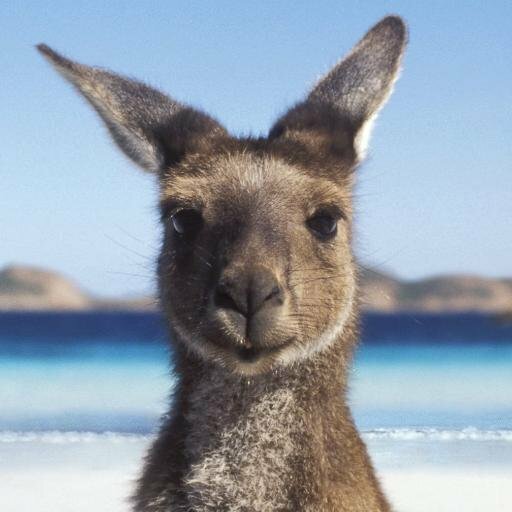 Iszdan ah ray ~ has been gifted with a connection to the energies and medicines of the Animal Nations, and has the ability to guide others in connecting with their own inner medicine. She does this by leading them in ceremonies, songs, and teachings created to allow each individual's inner wisdom to rise. She is a veteran of the United State Coast Guard. She worked as a civilian for the United States Air Force and Indian Health Service as a Contracting Officer. 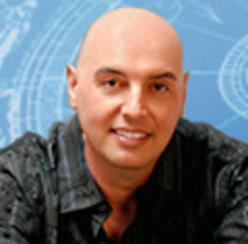 Iszdan ah ray ~ holds a Bachelor degree in Business Management and a Master degree in Human Resource Management. 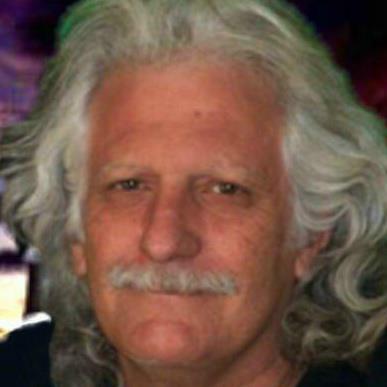 Dan Brock is very busy these days at conferences, including Bob Brown's 2019 UFO MEGACON, Laughlin, Nevada conference, giving bellweather talks on the topic of both human generated & implimented "AI" [Artificial Intelligence] technologies, as well as off planet, non-terrestrial, non-human generated, AI consciousness. The vast field of Artificial Intelligence and its relation to the human condition have lead Dan to many discoveries that will hopefully shed light on the universal roll all forms of technology play in the evolution of consciousness in our reality. Human technology is changing daily, along with the definition of what it means to be a human. Can we come to turns with this unavoidable situation, successfully negotiating the melding of man and machine into a new form of consciousness? He believes, 'Yes, we must'. 'Challenge all your BS!' is his motto and by 'BS' he means 'Belief Systems'. DAN BROCK'S diverse experience with the multi-dimensional, energetic aspects of human life began at an early age. In his ongoing non-physical exploration of the infinite realms of universal life, Dan knows there always remains vast areas untouched within the universal field of information. While expanding his present devotions to Astrology, Dowsing, and Spiritual Advocacy, Dan embraces any modality capable of keeping us on track in our Earthly mission. Although often finding himself beyond the edge of physical reality communing and interacting with dimensional beings in the vast multiverse. Dan's professional experiences include a formal education in Mechanical Engineering. He has been both a Nuclear Engineer with the [DOD] US Dept. 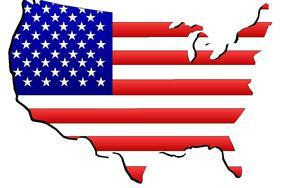 of Defense and an Environmental Engineer for the State of Louisiana. For almost 25 years, the call of film making and higher education replaced a career in engineering. Besides his professional work in the Hollywood film industry, Dan developed project management software used in the 2009 blockbuster film Avatar, receiving credit for his contribution. Currently, he supports the University of Arizona in Tucson at The School of Theater, Film and Television. In 1990, Shekina had a prophetic encounter with her Star Family, including her Star Mother Polaris. Her Star Family conveyed to her that she was a starseed, and began the activation of her innate higher senses and abilities. They foretold of a future planetary shift and the 'Divine Original Blue Print' in which she would be a part of awakening mankind to its God DNA, increasing the frequency of Light on planet Earth. It was at this point that Shekina dedicated her life to the illumination of mankind and the healing of the planet. About her - Power of the Language of Light ~ Ancient Solfeggio Frequencies. Years later, a second major transition shift though a near death experience, Shekina was enveloped by the comforting presence of the 'Holy Spirit' all encompassing Light. This created within her a vibrational attunement to receive and understand the sacred sounds of the Language of Light and Creation. 11:11. The 2017 Sedona ~ 11:11 Blue Ray Conference. On November 11, 2017 Shekina held this auspicious, very special, well attended event commemorating another 11:11 event in her life years earlier. This was an incredible gathering of Blue Ray beings, starseed humans born in physical form, angelics, celestials and light beings, celebrating our galactic heritage, the coming alignment and ascension of humanity & Gaia into the higher realms. Revelations of the Blue Ray. In 2008, the 'Archangels of the Blue Ray', Shekinah and her Star Family conveyed to Shekina that it was time to awaken the star beings through the sacred lineage of the Blue Ray. This was a part of her original mission to assist in the planetary shift of 2012. This Blue Ray, overlighted by Mother Goddess of Creation Shekinah, would be activated on the planet as star beings and light bearers awakened to their holy lineage. Through Blue Ray Sirian High Council, Shekina received Divine healing for the Blue Rays to reconnect to their sacred lineage. 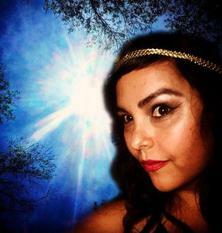 Shekina is a Harmonic Vocalist, a direct voice messenger for Mother Goddess of Creation and the Blue Ray. Shekina had never sung before, not even for karaoke. She was activated as a voice channel in the 'Language of Light' through a powerful angelic encounter, awakening her ultra sensitive clairaudience to hear the holy chords of Creation. Shekina first heard this heavenly music of the Light of Creation through her near death encounter when she visited the highest Heaven. Shekina's direct voice harmonics in the - 'Language of Light' - Shekina assists to awaken within the individual their 'Divine Original Blue Print' or 'God DNA'. Many participants report instant healings and awakenings and feel the blessing of Divine Mother Goddess Shekinah and the Angelic Realms. 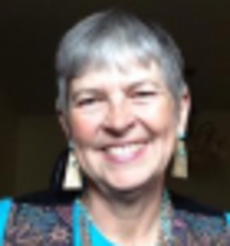 Shekina Rose lives in Sedona Arizona and works with the Vortex Energy portals, and has a sacred affinity with Cathedral Rock Vortex Goddess Temple where Mother Mary and the Rose ray apparitions appeared and where anchored. Since 2012 I am a legal member and medicine person of the Oklevueha Native American Church, as well as, the head of my own Native American church ‘Toltec Sun Ministries’. 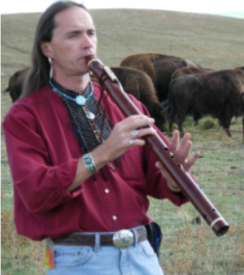 I conduct Native American style weddings, Sweat Lodges and blessing ceremonies, as well as, share shamanic teachings and energetic practices including Medicine Wheel empowerments with sacred drum, flute, songs and chants. I have been in Sedona, Arizona arriving on the summer solstice of 1987. By 1988 I began working as a Sacred Earth vortex tour guide and eventually started my own company in 1990 as Sedona Nature Excursions with my specialty Mystic Tours. During the 1990's I worked with many people very eager to experience the energy of the Sedona red rock country and its famous vortex energies. 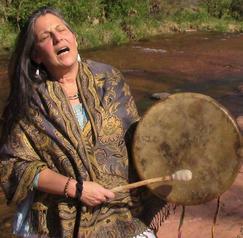 And this gave me the opportunity to develop my own unique way of teaching and sharing shamanic wisdom and healing methods while out in the beauty of the sacred landscape of Sedona. My approach has combined wisdom teachings from both eastern Yogic traditions, Taoist wisdom, Christian mysticism and Native American shamanism. I was especially drawn to the teachings of Toltec wisdom that has come out of Mexico, and to the practice of Kriya yoga through Babaji's lineage. Since I was already very deep into the practice of western astrology, I was able to merge this perspective into the teachings of the Medicine Wheel as taught to me by Sun Bear. Regarding my Indian ancestry it comes out of Mexico, although I was born in the Midwest of the United States where I grew up, I recognize myself as an American born Toltec. My awakening to the shamanic path was preceded by a number of mystical experiences I had beginning in my teenage years that jolted my reality. And these types of experiences continued throughout my life where I had some profound encounters with Spirit Powers and intelligences from alternate realities. At the age of 21, is when I was telepathically contacted by my ascended Master teacher that began my conscious journey onto the spiritual path. Adona is a highly gifted telepath, a direct, open, fully awake & conscsious telepathic communicator with her Dakote, Pleiadian star family members ~ those diplomats & officers, especially “Azar” the Chief Medical Officer (CMO) of the Andromeda Council biospheres who has responsibility over all of the soul records for all Earth humans. Adona's spirit essence is originally from planet Dakote, Taygeta star system in the Pleiades, literal spiritual sister to Tolec. She has been an open conscious telepath since age 12 when her maternal grandmother, Hester, passed on. Adona says throughout the course of her life she has seen, felt, experienced, and which continues to this day, the ongoing higher dimensional, interstellar and intergalactic communications with her star system family members. Being a spiritual communicator, Adona says that after not speaking in public for many years, she is now rededicated to doing her mission here on Earth, reassuring humanity, encouraging and giving them hope for their future here on Earth and in ‘the Heavens’. As a result, she happily provides her telepathic services to people via her StarAncestry web site, www.starancestry.com , informing her clients, in detail, in the form of Basic & Premium StarAncestry reports, about their literal star family heritage and higher dimensional origins. Since early November 2016, she has provided this service for 900+ clients from 52+ countries around the world. Dr. Maree Batchelor, MD, of Australia, who spoke in both of my Australia 2017 Transformational Shift Events Conferences [Forster & Tugun], to great acclaim & who touched the hearts of many, once worked in mainstream medicine as a GP (family physician) for over twenty years. As well as her medical degree, she has a Diploma of Obstetrics and Gynaecology and is a Fellow of the Royal Australian College of General Practitioners. She is also a mother of five children. After the tragic death of her son in 2008, she experienced an awakening and went on to study and practice with a holistic approach to her patients. Spiritual counseling, meditative self-inquiry and energy healing formed the basis of her practice. A further profound experience in India, in 2014, propelled her even deeper into the realms of energy medicine and the holographic field. Now, using embodied light frequencies, she removes behavioral triggers and energetic blocks from a patient’s physical, emotional and energetic body. Working as deeply as the DNA level to clean, clear and activate full potential. This releases past life karma & trauma, dysfunctional family lineage patterns and the effects of the conditioned matrix we all live in today. 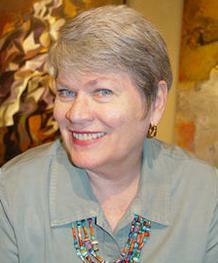 Melinda Leslie is the founder of the Sedona, Arizona based UFO Sighting Tours. However there is far more to Melinda than her company. 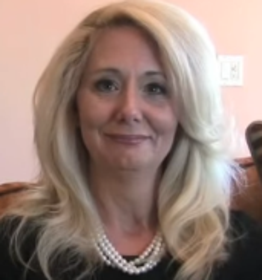 Melinda Leslie is a also researcher, investigator, and lecturer in the field of Ufology. She has been public with her own abduction experiences for over 20 years, researched covert-ops and military involvement in abductions (also known as MILABs) for 18 years, and interviewed over 80 abductees with this involvement. Congress, The Whole Life Expo, and more. She has been a guest on numerous popular radio shows including Coast-to-Coast AM, and appeared on several television shows. For 9 years Melinda was the Producer and Director of a UFO lecture series hosting the most prominent names in ufology. In addition to her abduction work, Melinda has been a paranormal researcher for over 25 years and a founding member of the Orange County, California Paranormal Researchers, a group which conducted formal investigations for 9 years. In her 30’s, Cheyene suffered one of many devastating health crisis, 5 separate strokes. This prompted her passion for researching the interaction of consciousness and frequency. She is now a healthy student of spirituality, sacred ceremony, Jin Shin Jyutsu, photon stimulating light therapy, reflexology, dowsing, energetic healing, electromagnetic frequencies & subtle energies. Of Choctaw, Shawnee and British/Dutch heritage, Cheyene is a lifetime experiencer of interstellar communication and visitations, galvanizing a deep hunger for universal truths. She is all too familiar with near-death experiences and spent much of her youth “out of body”. 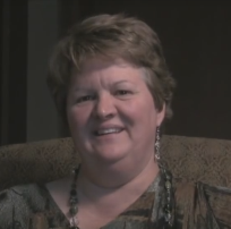 Since 2004, Cheyene has been a member of the Quantum Techniques (QT) team and now studies and teaches QT’s self-testing and energy healing methods under the direction of Dr. Stephen, and Beth, Daniel. 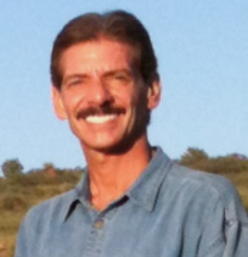 Tolec is Founder and Executive Producer of globally held ~ Transformational Shift Events conferences, and special events, he's organized & produced in Arizona, Colorado and southern & northern California. This year, 2019, he is producing a first ever conference of its type in the State of Texas [in Houston]: "Star Ancestry Knowledge: A Time of Great Awakening". 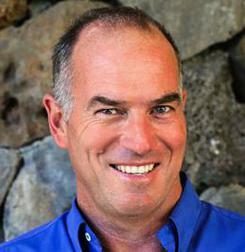 He's also co-founded the PlanetsWithin, monthly, Sedona, Arizona special event: "SEDONA CLOSE ENCOUNTERS". 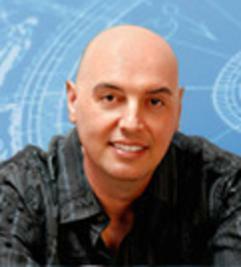 Tolec is the host & producer of the interview series ~ DEEP DISCLOSURE: AN EVOLVING REALITY. He is also the founder & principal of: Sedona Smooth Jazz focused on the promotion & production of R&B, soul, urban/funk & smooth jazz concerts. Tolec is an international speaker and has been interviewed by top investigative radio journalists in excess of 165+ times over the past 7+ years. Andromeda Council. In September of 2010, due to the recovered knowledge of his own incredible set of extraordinary contact experiences in August 1993, just after his move to Tucson, Arizona ~ Tolec learned he'd been having ongoing communication with non-voting board members of a deep space 'U.N', the Galactic Council, known as the Andromeda Council, a governance & development body of 140 star systems and over 300+ planets for people in both the Andromeda and Milky Way galaxies. They indicated they've been in touch with him since age 5. Subsequent to those 1993 experiences his life, his career & personal interests were propelled into a completely different direction. During this time frame he studied the tenets of Enlightenment material of Ramtha, and Ra's teachings of "The Law of One". During the last twelve (12) years of his professional career Tolec was the Senior Managing Director & Chief Operating Officer (COO) of a global, private, alternative, asset management firm; and was a Managing Director & Director of Bank Operations for an international depository trust bank, Glacier International Depository Bank, which was, at the time, the bank of the Blackfeet Indian Nation. The prior 17+ years Tolec had a brief stint in venture capital, and held various positions of increasing responsibility in the healthcare software industry beginning his career with CIGNA. Tolec has his Bachelor of Arts (BA) in Political Science with a concentration in Public Administration. Author, David Still​, also from Australia, spoke at my Tugun, Australia 2017 Transformational Shift Conference, and received a standing ovation in his home country. Over the last five years, David’s work life has taken a back seat to his book series (discussed below) however, he did serve on the board of the U.S non-profit Resonance Project Foundation for two years during this time. The Foundation conducts research and education in the field of Unified Physics and develops technologies and applications that apply these discoveries to solving some of humankinds’ most fundamental challenges, which is David’s great passion. His book series, “It’s Our Earth Too", has proven to be an amazing learning journey around the Laws of Nature and our Universe. It is a heartfelt trilogy about a group of teens awakening their unique higher gifts, the need to connect with self, other humans and Nature and it tracks the characters through a change of consciousness, and trying to implement solutions in all areas of life – including food, health, technology, education, politics, justice, and basically bringing humanity back into Galactic Resonance. David’s idea was to show how these teens could proliferate from the ground up, just as natural systems do, by creating a fictional blueprint of that experience. He thought this might help people, particularly our youth, to rise above the sea of facts and debates bombarding them to help them learn to feel how a natural system feels, in their hearts. Those who do, realize change is within all of our power and each has a part to play, for all are, a part of the grand plan. David has a wealth of business experience, including 8 years as a commercial and taxation lawyer and 9 years as an investment banker. His banking career included senior roles with Australia’s Macquarie Bank, and U.S Investment Banks, Merrill Lynch and Goldman Sachs, where he was involved in creating ideas for large deals and taking them all the way to implementation. David holds Bachelors of Commerce, and Laws, from the University of New South Wales, and a Masters of Laws from the University of Sydney (Australia). 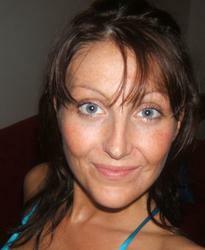 Her work is multidimensional and consists of energetic counselling and hands-on healing. 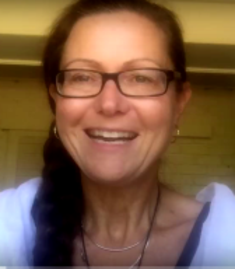 The relief from her sessions, both in person and by Skype, is life changing. Allsion Coe. QHHT Practitioner, Past Life Regression Hypnotist, Dream Interpreter, Metaphysical Researcher, Intuitive Counselor Mother, Wife, Daughter and Sister, Perfect Soul (we all are), Imperfect Human (often enough), Failed Accountant? Prior to being a Quantum Healing Hypnosis practitioner I was an Accountant - and "closeted" Spiritualist and Counselor. But, after 11 years at the same company it was pretty obvious I was no longer in the closet. I was out and about and had no shame in my game. I loved trying to raise the vibration around me, interpreting coworkers dreams, having private counseling sessions in my office, meditating and spreading love anywhere and everywhere. But it was nearly unbearable to be in the corporate environment, and almost impossible for me to do the job I was being paid to do - Accounting. Needless to say, it was time for a change - and my employers felt the same way. I was happily laid-off in November 2014. Since that day I have been able to be my authentic self on a full-time basis: study my areas of interest in Metaphysics, Ascension, Past Lives, Parallel Lives, the hidden language of Dreams, and Ancient Secret Knowledge. And of course, one of my greatest joys - learning, studying, and practicing the Quantum Healing Hypnosis Technique. 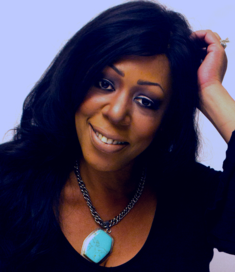 Having started her professional journalism career in 1986 in the radio & cable television industry, Alexis was simultaneously pursuing a track that would lead her to an intensive study of metaphysical, spiritual, and consciousness-related subjects - areas of inquiry that stemmed from her own extraordinary encounters that began as a child. In 2002, shortly after the events of 9/11, Alexis authored two widely read articles in Spirit of Change Magazine and OfSpirit.com respectively on the metaphysical dimension and implications of September 11, 2001. Based in part on the article’s popularity, she was contacted by well known paranormalist Uri Geller and interviewed on his radio program based in the UK. Since that time, Alexis has become recognized for her work within the field of UFOlogy, with emphasis on the ET contact experiencer aspect, as well as a spectrum of subjects within the metaphysical & transformational genres. She is interviewed frequently on both radio and television, and was featured along with a roster of renowned experts in the field of UFOlogy in Miguel Mendonca’s book: We Are the Disclosure – 700 Years of Research on ET-Human Interaction. Tolec is Founder and Executive Producer of globally held ~ Transformational Shift Events conferences, and special events he's organized & produced in Arizona, Colorado, and southern & northern California. He's also co-founded the PlanetsWithin, monthly, Sedona, Arizona special event: "SEDONA CLOSE ENCOUNTERS". He the host & co-producer of the interview series ~ DEEP DISCLOSURE: AN EVOLVING REALITY. He is also the founder & principal of: Sedona Smooth Jazz focused on the promotion & production of R&B, soul, urban/funk & smooth jazz concerts. Tolec is an international speaker and has been interviewed by top investigative radio journalists in excess of 200+ times over the past 7 years. Andromeda Council. In September of 2010, due to the recovered knowledge of his own incredible set of extraordinary contact experiences in August 1993, just after his move to Tucson, Arizona ~ Tolec learned he'd been having ongoing communication with non-voting board members of a deep space 'U.N', a Galactic Council, known as the Andromeda Council, a governance & development body of 140 star systems and over 300+ planets for people in both the Andromeda and Milky Way galaxies. They indicated they've been in touch with him since age 5. Subsequent to those 1993 experiences his life, his career & personal interests were propelled into a completely different direction. During this time frame he studied the tenets of the enlightenment material of Ramtha, and Ra's teachings of "The Law of One". ​Jim Dilettoso is a scientist by profession & vocation, a passionate musician & lover of music... and so much more. He is recognized by the UFO research community, as well as the media, as the man from the 'real' X-Files or a "Man in Black". 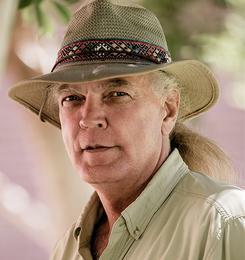 His investigations include the famous Billy Meier case in Switzerland, where due to his technical expertise, he provided critical analysis of the hundreds of photographs for the Eduard 'Billy' Meier, Switzerland, Plejaran, contact case, the 'Phoenix Lights' siting of thousands of local Phoenix cititizens, which gained critical international attention in 1997, as well as the Crop Circles in Chilbolton, England. Jim is a many times guest of "Coast to Coast AM". Jim has made over 200 guest appearances as an expert analyst of purported UFO film and video footage relative to his investigative work in unraveling the UFO enigma. Internationally respected by serious UFO investigators, Jim has made frequent appearances on the Fox Network, Sightings, Unsolved Mysteries, Discovery, A&E, Disney, as well as other numerous shows on radio and all of the major television networks. He was one of the early pioneers as founder of the Arizona State University Computer Institute and served as it's CAD and AI Director. While in that post he also served as the NASA Industrial Application Center Technology Director. Jim has over 100 projects and 20+ years experience in Computer Aided Design (CAD) engineering with experiences in systems design and application engineering, as well as communications installation. He's produced TV commercials and served as the prime computer imaging contractor for the LHX military helicopter simulator program for Garrett (now AlliedSignal) and NASA among other cutting-edge imaging projects. He consulted on film effects equipment requirements for the movies "Lost in Space" and "Titanic". Jim spent 5 years in the development of the Paxton system for on-demand digital video. He is also the developer of the 3DX editing software for Visual Labs of Calgary, Alberta's 3-D Video and Film system. There is so much more. A friend of 25+ years, lets just say that Jim Diletosso is a true innovator, inventor, scientist, musician, director, producer, engineer... and true renaissance man. 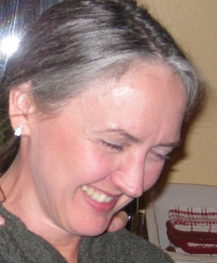 Rebecca Hardcastle Wright, PhD is the Founder of the Institute for Exoconsciousness. The Institute’s mission is expanding human-extraterrestrial consciousness through communication and collaboration using psychic intelligence and cosmic consciousness to foster advancements in the arts, science, and spirituality. Rebecca's professional expertise is the field of parapsychic science, principally consciousness. She was a member of Apollo 14 Astronaut, Dr. Edgar Mitchell’s, Quantrek organization as their Washington, DC, representative. At Quantrek, she worked with a team of international scientists researching and applying zero-point energy, consciousness, and the extraterrestrial presence. As a writer, speaker, and futurist, Rebecca is the author of Exoconsciousness: Your 21st Century Mind. Recently she contributed to the film, God’s Among Us: The Science of Contact. She also participated in the Phoenix Lights documentary. As a frequent guest on radio, television, and conferences, she shares effective ways to acknowledge and integrate ET contact, transforming the experience into a positive healthy life and work. ​​In 2005, Rebecca taught one of the first ufology courses in the United States at Scottsdale Community College, in Scottsdale, Arizona. Currently, she is on the faculty of International Metaphysical University (IMU), where she teaches Exoconsciousness. She has 30 years of experience as a holistic hypnotherapist, consciousness researcher, university chaplain, and life coach. Currently she is on the staff of Mind Body Medicine Clinic in Scottsdale, Arizona and also offers online sessions as a hypnotherapist and coach. 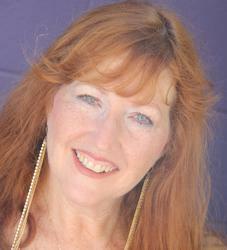 Rebecca has extensive experience working with UFO and extraterrestrial experiencers. She trained with Ruth Hover, PhD, who was affiliated with Harvard's John Mack, MD and his Program for Extraordinary Experience Research (PEER). Clifford Mahooty is a Zuni Pueblo Indian Elder of the Zuni People of New Mexico. He is active in the Zuni orders of the Kachina, Galaxy Medicine Society, Sun Clan leadership, and is a wisdom keeper of the Zuni history and spiritual practices. He covers Zuni Tribal teachings including oral history, religion, rituals, kachinas, and spiritual practices and how they relate to UFOs, star people and spiritual beings. Mahooty is often best at comparing ancient oral teachings to modern scientific theories, discoveries and cosmic concepts based on his research and analysis, to Zuni sacred knowledge still in practice today. Mahooty is also a retired civil/environmental engineer (BSCE-NMSU-1969). He worked in many projects with Shell Oil Company, U.S Federal Government in Environmental justice for Indian tribes, Tribal housing projects in the USPHS as a commissioned officer in water, waste water, and EPA enforcement in environmental compliance. He covers Zuni Tribal teachings including oral history, religion, rituals, kachinas, and spiritual practices and how they relate to UFOs, star people and spiritual beings. Mahooty is often best at comparing ancient oral teachings to modern scientific theories, discoveries and cosmic concepts based on his research and analysis, to Zuni sacred knowledge still in practice today. Mr. Mahooty is also a retired civil/environmental engineer (BSCE-NMSU-1969). He worked in many projects with Shell Oil Company, U.S Federal Government in Environmental justice for Indian tribes, Tribal housing projects in the USPHS as a commissioned officer in water, waste water, and EPA enforcement in environmental compliance. Alexandra Meadors is creator of GalacticConnection.com designed to bridge spirituality with ufology & conspiracy. After a severe accident in 2001 which left her bedridden for about 3 years, and in excruciating pain for 11, Alexandra went back to school in search of pain management solutions and found her true love & passion in homeopathy and creating galactic alchemical formulas. Her creations magically work through physical & emotional issues, and augment past life clearings, consolidate multiple life fragmentation, while opening doors to the Higher Self. Alexandra has also dedicated her life to serving the planet through continuous planetary missions across the globe. From an early age Jerry Wills was captivated by the unknown. Jerry read all he could from authors such as Erich von Däniken and marveled at the details. Driven to know more and to explore, Jerry eventually found himself traveling through Mexico, central and south America for extended periods of time. Each location Jerry visited was rich in history and always populated with fantastic stories of the past. He is also a world acknowledged energy healer and continues to be the subject of magazine, radio, television, and printed books. Jerry’s unique ability help others has been well documented by doctors and scientists around the world. Jerry Wills is also a firsthand contactee and experiencer of the paranormal. Over the course of his 65 years, Jerry was privileged to meet with and be taught by men and women visiting from the stars. The messages he was given, the details shared, and the knowledge gain has helped him throughout life. If you have questions about UFO's Jerry can likely provide answers. A friend of 25+ years, Jerry will recount for you extraordinary events from his life that shaped him into the transformational healer that he is today. 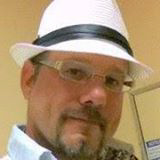 StandswithBear (Cherokee) is a co-founder of Starseed Alliance International (SAI) Lightstar, where they have formulated a galactic resource center. The organization’s mission is to awaken and unite the global Starseed family to create a platform for the visionaries of the new world, and create alliances between global Starseed communities. Being of Cherokee descent and a fourth generation Shaman in his lineage contributes to Standswithbear’s many works and gifts of the Creator, as well as teachings from his star friends. They also taught him the very powerful technique of DNA Restructurization. He has also presented on 3D vs 5D, and performed his beautiful music at The Performing Arts Center for Sedona Spirit Sings, as well as many other venues nation-wide. He has travelled the country extensively utilizing his music, healings and channelings to assist others in their growth, life, and reaching their true potentiality. "MsM" is a highly level 'insider' guest on ~ DEEP DISCLOSURE: AN EVOLVING REALITY. She is a fully conscious psychic medium who has worked exclusively with a group of humanitarians effecting positive change globally and bringing prosperity to humanity. 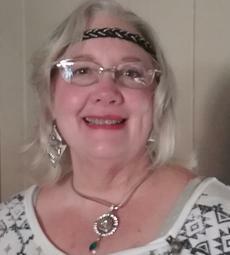 She worked in the beauty industry for several years educating people on planet friendly products and now teaches individuals to access their own spiritual gifts and improve their health through natural living. "MsM" is also an entrepreneur, and with her business partner she owns several businesses ranging from film production, new healing modalities and other positive, life changing disruptive technologies. "M" has worked for over a decade with the “Elders”, Governors of Central Banks, Officials - Heads of State & former heads of Agencies to enact a New Banking System for the betterment of humanity, commonly know as the 'White Hats' or 'White Knights', under the YIL/AOE group and currently for the White Hat Mission Society. He is the Director of several Trusts and Foundations for global transformation, such as Prosperity for Humanity and People Helping People. This gentleman is also the Founder and Chairman of Global Net Systems, which is a Meta-Platform Nexus of Gold backed Crypto-Currencies, Multi-Dimensional Blockchains, Crypt Banks that feature secure delivery systems and transactions. "M" has also discovered an unique cipher, which he had termed the Germain Code. A long time IT Specialist, he's focused on Real-Time effectiveness and efficiency with over 35 years of expertise in implementation, and consulting, to such organizations as the Defense Intelligence Agency (DIA), the Pentagon, Small Business Administration, Nike, California Welfare and Child Support and 30 additional Fortune 300 companies. A Diplomat within the Cherokee Country, Ambassador of Special Missions ~ "M" is a Founding Father of the Cherokee Country called "Aniyvwiya" and a Board Member of the newly formed Cherokee Central Bank for the Nation of Indians and First Nation People. He is also a Board Member of Dene Sovereign Bank. He started the movement called SAINT - Spiritually Aligned Intentional Networking Teams, as part of the I AM Movement of Intentional Awareness. M is the Author of the 7th Seal - Hidden Wisdom Unveiled. This is his life long work on Mystery School, Sacred Geometry and his Meta-Numerology/Light Language. His author's name is Mathues Imhotep. 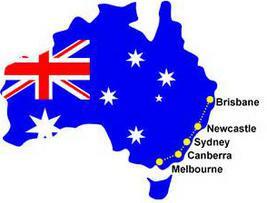 Monique, who is from Coffs Harbor, New South Wales, Australia, has had a definitive purpose this embodiment, a life of continual traumatic events, extreme spiritual, multidimensional & galactic experiences running parallel with what was perceived by society as normal. Knowing from early youth that she was here for more than anyone wanted to discuss, the year 2012 was a welcoming relief & the energies for ascension. Monique is the eldest of a generation of cousins, both her Paternal grandparents are mixed English & Indigenous Original People, The Wiradjuri Tribe from NSW Australia, and a lost tribe from Northern Tasmania. Another influence, essence of Mon's Soul is her connection to India & its peoples. Many times this incarnation Monique has been led to travel through most States of India synchronicity leading her to a Sacred Place deep in the desert. Ajanta Ellora Caves were unearthed in the 50s, covered in scrub they held the prayers and intentions of 3 different spiritual dynasties. This is where Monique in 2008 was led, to make the long journey to the caves twice. Remembering and joining the dots to "other" time/space experiences & knowing enlightenment was/is already encoded in her Souls Matrix, the remembered gifts of disciplined meditation & yoga are now reintegrated, this has benefited in raising her frequency & holding Light. As an Astrology & Numerology student for over 30 years, these tools have been imperative for Monique in understanding & quantifying energy & being in tune with 11:11 & the Harmonic Convergence in the late 80s. A Solo Traveller & Spiritual Seeker until the "Great Awakening" of the 21st Century Monique has been guided through surrendering & dissolving the ego to construct " The High Vibe Life ", her New Earth. Ann Eller worked as a personal assistant with noted astronomer, astropysicist and pioneer in the field of UFO and alien research Dr. J. Allen Hynek. "I could feel the pulse of infinite energy. The pink light burned hot to a brilliant white. An intense heat filled my body and I got the sense of someone jamming a steel rod down the back of my head, down my spine, and out my tailbone. I felt pain, the white light, the fierce energy of it all, vibrating like an emotional sensation through my whole being. This alien contact experience left Eller with a message to share with the world in her book. It challenges assump-tions, warns of impeding events and stresses the need for a dramatic improvement in relationships with each other and a higher power. ​Professionally Ann has worked as an elementary school teacher, ob-gyn nurse practitioner, long term healthcare facility administrator, medevac nurse for the Peace Corp and White House Volunteer. She currently resides in Sedona, Arizona. Kate Hotson is the Founder of "Coffs Zen Space". This is a centre to heal, de-stress, relax, chill out, find harmony and balance through a range of therapies and bodywork. Available is Reiki, energy healing, sound healing, meditation, workshops, space for personal, spiritual growth and connection. 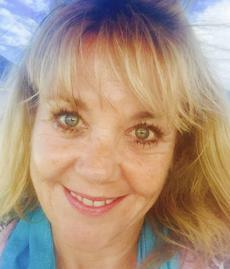 Kate has been interested in health and healing her whole life and has been working with the human body for almost 20 years, initially as a Sports Therapist and Masseuse, now in a more holistic approach working multidimensionally with the energetic, emotional and mental bodies. She has studied many modalities of healing but now works more intuitively being guided by the cosmic beings that she works alongside, which has developed after a contact experience in 2013. Kate works with the power of sound, using her own voice, Light Language and toning, working at the cellular level to assist you to bring about change, balance and activate your cosmic DNA.